In recent blogs, we outlined medical Medicare review strategies, probe and educate (PE), and we explained Targeted Probe and Educate (TPE), Medicare’s new medical review strategy. In this chapter, we will share tips on preparing and submitting your TPE documentation. Colleen Seeber-Combs, a Master’s-prepared registered nurse with over 30 years of industry experience, once said, “When you document effectively, your patients’ medical record reflects your professionalism.” This maxim captures the essence of why documentation is so important in all health care settings, including hospice. Proper clinical documentation helps to ensure regulatory compliance, continuity of care and conformance with payer requirements. Overall, it’s important that you clearly and carefully document each patient’s condition and the services provided so that the documentation submitted with a TPE response leaves no doubt of the patient’s hospice eligibility. If you serve in an administrative capacity, you should educate your nursing staff on Local Coverage Determination (LCD) elements so the patient’s clinical record will show that their condition meets the LCD whenever possible. Use a documentation checklist to gather required documents. Use the Medicare Administrative Contractor’s (MAC’s) LCDs when reviewing the documentation and creating the cover letter. Determine if there is any additional supporting documentation for eligibility that should be submitted. Be sure all pages are legible and clear. Add page numbers to paper copies at the top right of each page. Keep a copy for your agency. Describe the eligibility of the patient (use the LCDs). Provide quantifiable data to the extent possible (e.g., weight loss, BMI, appetite, KPS) from the medical record during the admission time frame, as well as 30 days prior, and the 30-day post-review period. Make it easy for the reviewer to locate the information you are referencing in the cover letter. If the patient died immediately after the time period being reviewed, indicate that, along with a copy of the death certificate/proof of death. Make sure your hospice agency’s medical director composes and signs the letter. Finally, it’s critical to include the name and contact information of someone in your agency who can answer questions if the reviewer needs to call for clarification. When you submit your documentation, make absolutely certain that it is received at some point before the 45-day due date. Mail it to the address that appears on page 7 of the Fiscal Intermediary Standard System (FISS), or the TPE letter. Documentation can also be faxed or submitted electronically. Electronic submission must be made using the Electronic Submission of Medical Documentation System (esMD). When responding to a TPE request, include the name and number of your agency’s designated contact person. The medical reviewer will contact your designated person prior to the conclusion of each TPE round to discuss the review summary. Complete all education offered after probe decisions. The provider must schedule and coordinate training with the MAC. If you are found to be noncompliant and have not received the associated guidance from the MAC, then contact the MAC and request the education. Review the denial letter to determine the specific reason for the denial. Educate staff on the findings from the review and develop a plan to correct the issues that led to noncompliance. Develop a process to maintain oversight to prevent further TPE requests. 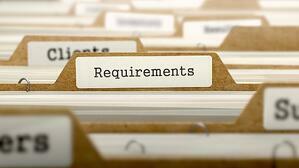 Complete a preaudit chart review prior to submitting claims. Routinely check the Direct Data Entry (DDE) system for TPE documentation requests and track responses. Carefully review all documents from the fiscal intermediary/MAC (FI/MAC). Submit a cover letter with TPE responses. Include documentation from other claim periods, if it potentially can be helpful. Note that once targeted, a provider can be targeted again after one year. Overall, you must have the ability to contest as many denials as possible. Failure to either successfully contest denials or to not have the standing to contest may well put you out of business.